What is Cyber Bullying ? Teens: Are Yours More Entitled Than Grateful? My teenager is just NOT grateful for anything we do for him. I keep trying to introduce gratitude practices into our family dinners, but he just sulks through them. What can I do?”. But I’ve also been reminded that some gratitude interventions—practices that researchers design to increase gratitude in individuals—don’t always work for everyone. In fact, several prominent gratitude studies have shown that for some people, consciously practicing gratitude (in certain prescribed ways) actually doesn’t make them feel more grateful. We want to feel more gratitude—and we want our kids to do the same—because gratitude is so closely associated with happiness that the two are practically indistinguishable from one another. The opposite of gratitude is entitlement, which brings negative feelings like disappointment and frustration. But when we feel grateful, our world fills with positive emotions like love, compassion, enthusiasm, and confidence—and our satisfaction with life soars. What we’ve learned from the gratitude interventions that don’t work is that one size definitely doesn’t fit all. Just like we can’t tell a baby to laugh at dinnertime simply because it will feel good, we can’t just tell our teenagers to feel grateful so that they can reap the benefits. So how can we help an entitled adolescent become happier through gratitude? The first thing to remember is that teenagers’ unique developmental task is to individuate: to break away from you, the parent who is looking for a little appreciation. 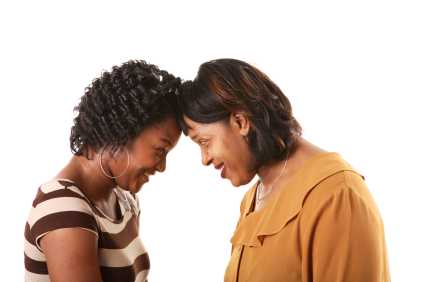 Every time teens take your advice—about how to be happier, or by following your instructions for practicing gratitude—they are setting themselves up to remain dependent on you and your great wisdom. But their main goal as teens is to get you to recognize their wisdom, their independence. Herein lies the problem. Gratitude makes most of us happier because it is such a social emotion; it cultivates our sense that we are connected to each other. And social connections—ties to friends and family and neighbors—are the very stuff of happiness. But if you are a teenager trying to prove your independence, gratitude can make you feel more beholden to your parents or teachers. Which doesn’t feel good. (1) Go at it indirectly, by fostering altruism rather than gratitude. Helping others evokes feelings of gratitude, compassion, and confidence in people of any age. (2) Let teens lead. One size doesn’t fit all when it comes to practicing gratitude—and a gratitude practice is going to be a lot less effective if it is seen as a chore or an assignment. So tell teens you want them to design a gratitude practice for your whole family this year. “You are old enough: You design a new tradition for us!” And by all means, let them take the credit, even if they come up with something you suggested weeks ago. (3) Allow snarkiness, teasing, and humor in your expressions of gratitude. My dad used to ask us for reasons we were grateful for the people we were complaining about, and this lead to a lot of sarcastic comments like, “Well, I’m grateful I don’t have any classes with her.” Sometimes teen gratitude is, well, a little minimalist. (5) Be persistent. When teens feel authentic gratitude, it is a positive emotion for them just like for everyone else. When they create a gratitude practice that works for them, feelings of gratitude will become habitual, hopefully built into their daily lives. Even if they resist heartily at first—remember, that is their job as adolescents—I have heard many, many stories of gratitude resistors who blossom into appreciative young adults. © 2010 Christine Carter, Ph.D.
You can use the following information to contact us if you wanna join us or anything need to communicate.